I am loving our CSA membership this year. With a variety of fruits and veggies delivered every week, it’s been a blast to create and try new recipes. This week was no different. I still had some pluots left from last week and we received peaches and nectarines this week. Now, normally I try to keep it on the healthier side…but this week I couldn’t resist. It was time for some serious pie. Want to give it a try? Recipe is below! I want to note that I used Martha Stewart’s double crust pie crust…sometimes you just can’t beat the tried and true. I did replace regular flour with a gluten free all-purpose flour mix though! Slice fruits and combine with granulated and brown sugars. Allow them to sit for 30 minutes to an hour to allow for maximum juicing. Once the fruits have been set aside, drain the juice and keep it separate from the fruit. Combine the fruit juice, cornstarch, cinnamon and salt in a saucepan over medium-high heat. Stir continuously until thickened. It may not have to boil to thicken, depending on the amount of juice. Combine the thickened juice with the fruit. Meanwhile, roll the pie crust (link above) out into the pie pan and create slices for your lattice work on top (totally optional). Pour the fruit mixture into the crust. 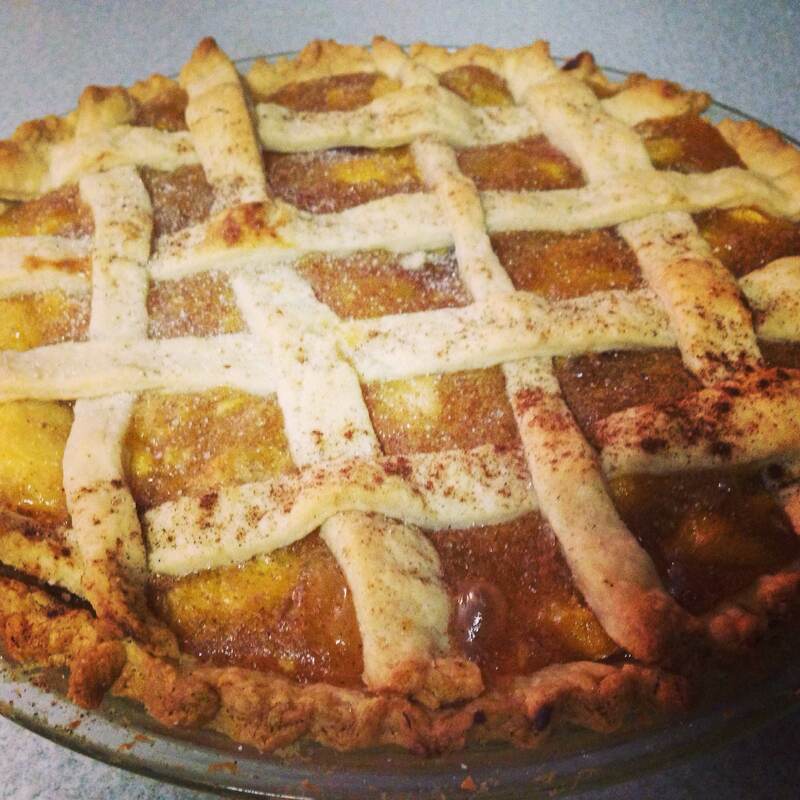 Complete the lattice work, include a rolled crust on top or ignore the top crust. Bake at 400 degrees for 50 minutes, or, until the bottom of the crust is clearly cooked through. *this pie is best served chilled. If you’d like warm pie, it’s better to reheat it after it has cooled and set.